Cristhian Parra is the lead design researcher of AppCivist, and a visiting scholar at UC Berkeley. In the past two years, his work has been focused on how ICTs can support participatory democracy and active citizenship. 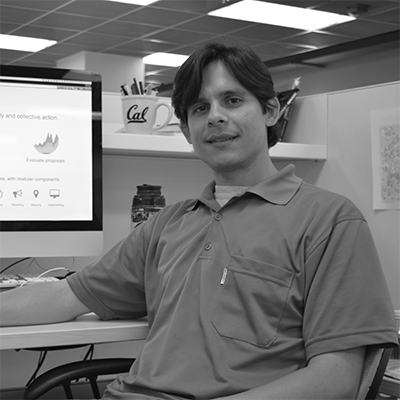 In 2014, Mr. Parra obtained a Ph.D. in Computer Science from the University of Trento, Italy, where he led a participatory design project on technology for active aging. His dissertation projects earned him several recognitions, such as winning the “Leading Age” Hackfest 2013 and the OpenIDEO #YouthMentor Challenge.